The site is still in its early stages, and the focus has been on the technical side of it. Members are encouraged to register for elevated access to member only pages (and the ability to comment and post new articles). Feedback to the new layout can be given as comments on this post. Vi møtes hver dag, klokka 10:00 og 22:00, på 3.705KHz. 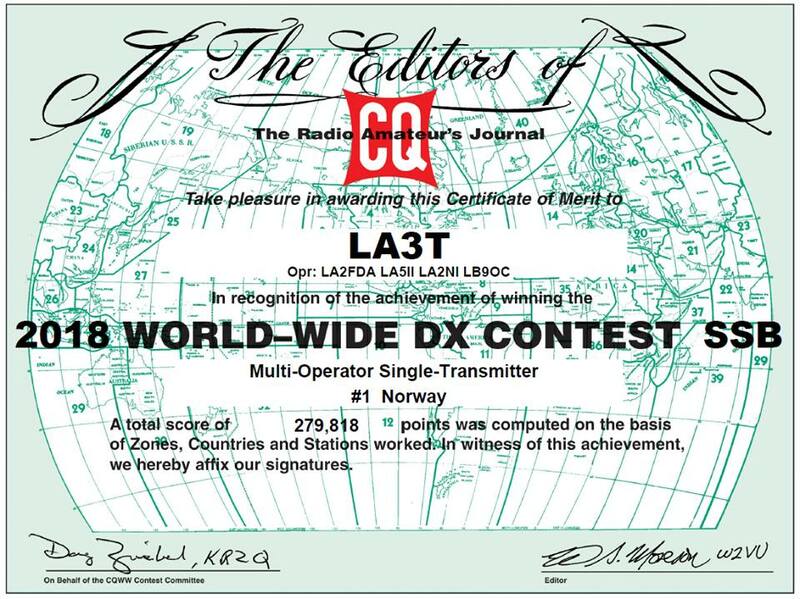 We would like to congratulate LA2FDA, LA5II, LA2NI and LB9OC that won the 2018 contest on behalf of LA3T. Quite an achievement. Well done!